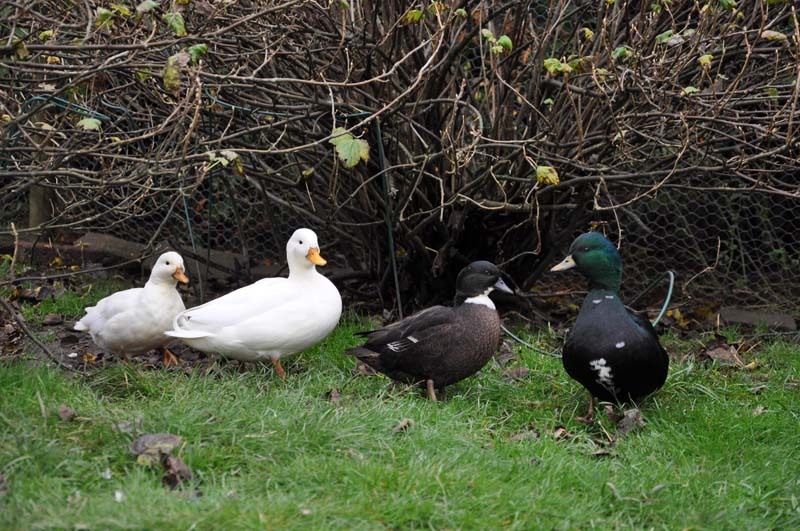 All the ducks moved to our neighbour in march 2013. 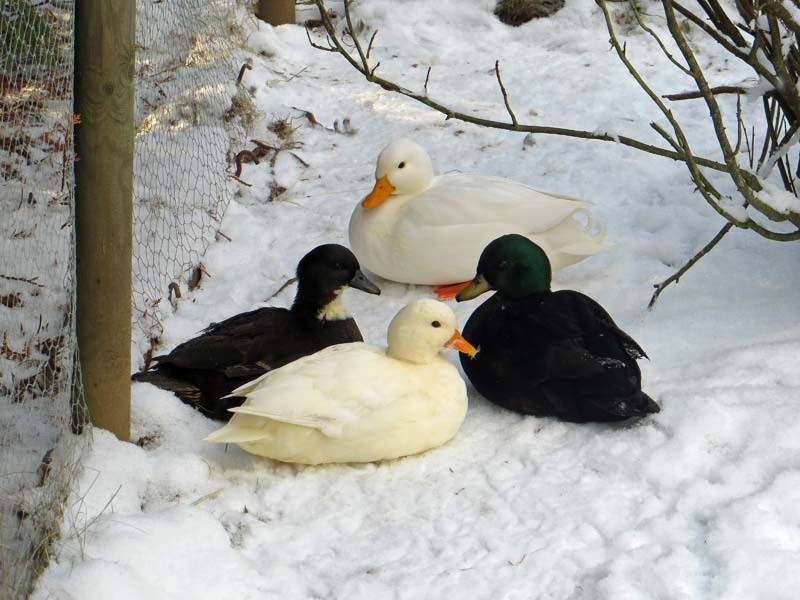 Our four ducks, hatched in the spring of 2012, is a white couple (male and female) and a black couple (male and female), of the breed Mignon (Call Duck, or in French; Canard Mignonne). 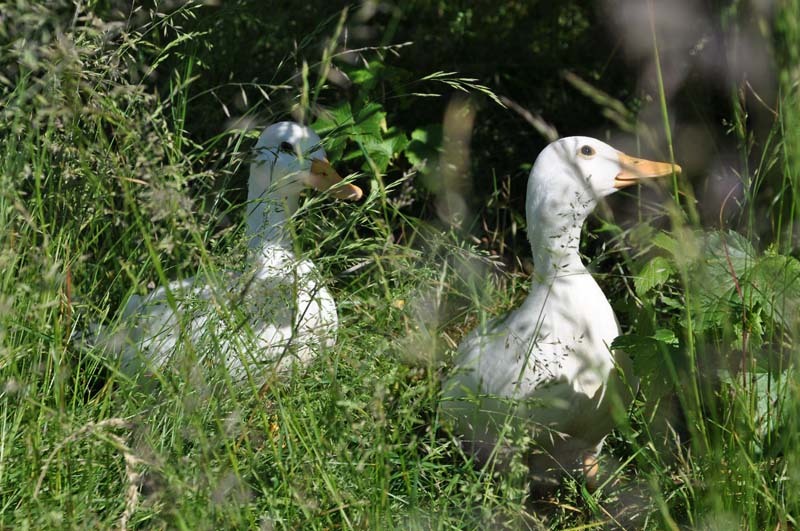 The bantams of the duck world. 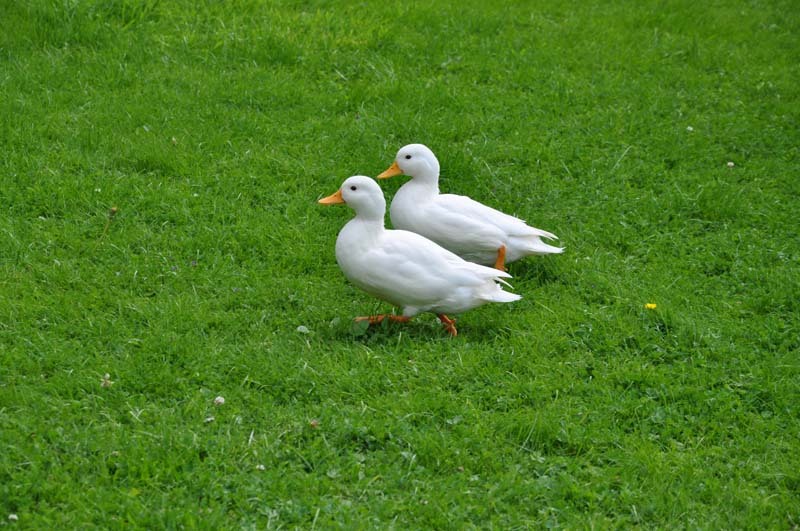 Originally from Holland but developed in England as miniature decoys, to ”call” in the wild ducks. The females also have a very loud quack. Mignon meaning ”sweet” or ”cute” and it does very well on this very cute little duck. Call ducks loves to swim and are good at flying. The female add about 8-10 eggs and then incubate. Some females are good mothers who both brooding good and take care of their kids, others are not. If you always pick out the eggs, one female lay between 25-75 eggs per year. Despite their fragile look, this is a robust breed. 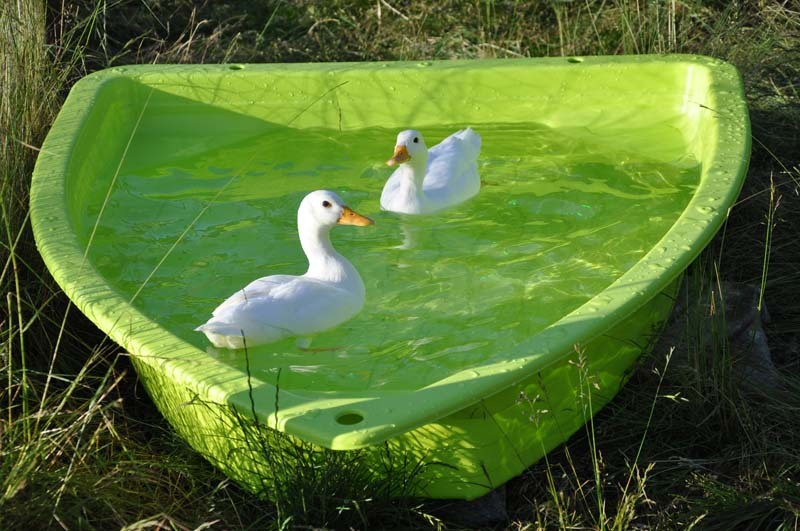 Call ducks must always have access to fresh water where they can wet their eyes, head and body.